When I go to spend time with special children – my camera would be the last thing I’d take since I believe that deviates us from our prime objective of giving our 100% – love and attention. This time it was different. 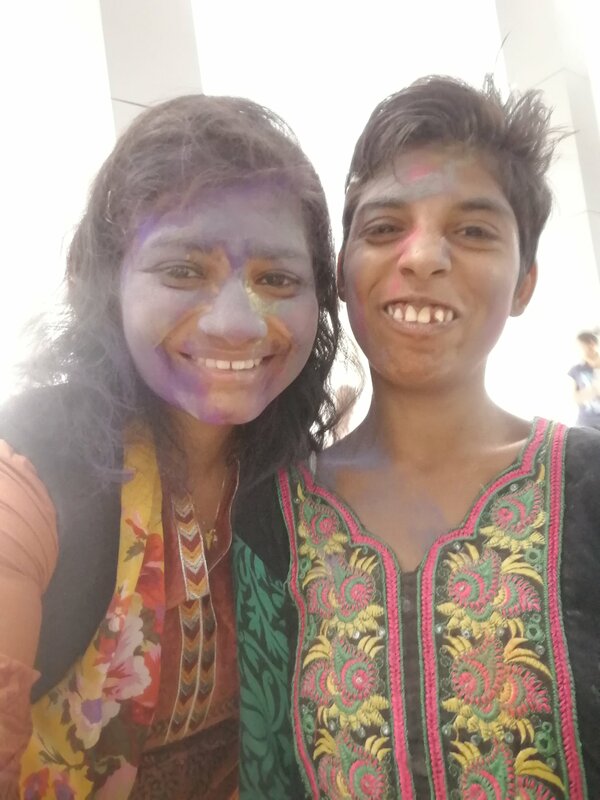 Unexpectedly, I joined my friend to celebrate Holi with these special children and the beautiful girl in the picture below insisted to take a picture of her. This was my first selfie in an event like this. Fulfilling her small wish gave me happiness. She absolutely enjoyed seeing herself in the pictures. So, you’ll be going back there soon, then? Absolutely.. Can’t wait for my next visit there.. Thanks Mrs Ayesha for accepting and following my blog. Thank you so much Patrick..
such a heart touching post. keep up your good work.